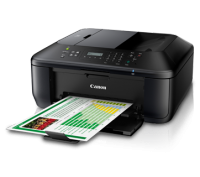 Canon Pixma Maxify Inkjet Printers - All-in-one for Office - Canon Pixma MX printers range includes models that suits both homes and small businesses. What is PIXMA? - PI stands for pursuing the highest image quality and MA stands for producing that image at the greatest speed. What is MAXIFY? 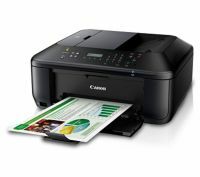 - These are fastest inkjet printers around. MAXIFY offers unique All-In-One printers that are ideal for the home user as well as the small office user. Home Office/Small Office - When considering a printer for your office, you need one that is of high quality and can print for you in a fast, reliable, and low-cost manner. MAXIFY printers offer the ideal solution.These multi-function Pixma MX models can print, scan, copy, and fax. They offer fast printing solutions through cloud connectivity and prints that are completed in 7 seconds. The cost per print is also low as the ink tanks are designed to give you the most out of what you put in offering a high page yield. 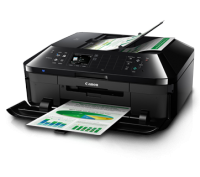 You can see list of our Canon Home Office & Small Office 4 in 1 printers below, perform Side-by-Side comparison. If you need further help, do have a look at Conzumr Guides and Tips. Alternatively you can view all Printer and Scanner to choose your own favourites. This powerhouse comes with a built-in 3.0" LCD screen, and is capable of producing high quality prints. It offers fully-loaded value, quality and innovation that will leave you spellbound. Prints a 4 x 6" borderless photo in 21secs. A4 / LTR / 4 x 6" / 5 x 7"/ 8 x 10" MX927 : A4 / LTR / 4 x 6" / 5 x 7"/ 8 x 10"
A4 / LTR / 4 x 6" / 5 x 7"/ 8 x 10" MX537 : A4 / LTR / 4 x 6" / 5 x 7"/ 8 x 10"
A4 / LTR / 4 x 6" / 5 x 7"/ 8 x 10" MX477 : A4 / LTR / 4 x 6" / 5 x 7"/ 8 x 10"
PIXMA Cloud Link: PIXMA Cloud Link - You can print from online services like Facebook, Twitter, Picasa, Photobucket, Flickr, Evernote, Dropbox. You can also Scan to Email and Attach to Webmail services like Google and Yahoo. To Recieve updates and possible rewards for Canon MX477 please sign in. To Recieve updates and possible rewards for Printer and Scanner please sign in.